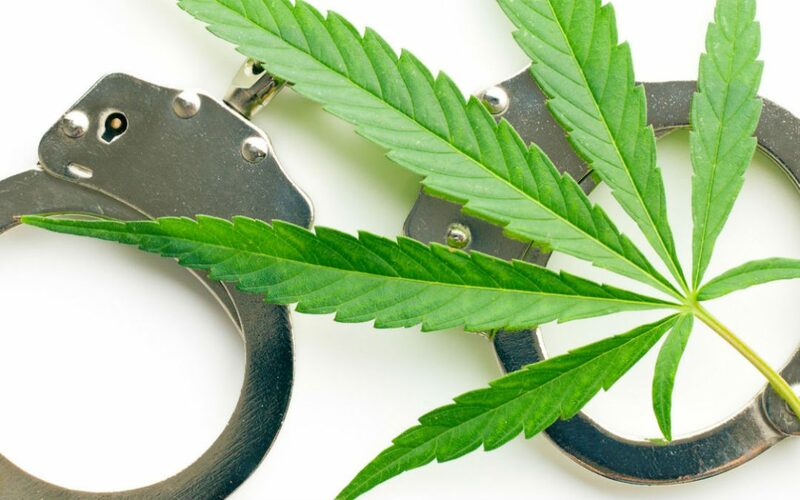 Why Do I Feel Like a Criminal When I Purchase Cannabis in Colorado? Adult use of cannabis is legal in Colorado. So why do some dispensaries make me feel like it’s criminal act to purchase weed? 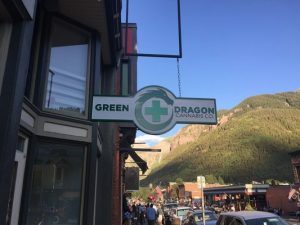 On a recent trip to Colorado, I visited four “dispensaries”. 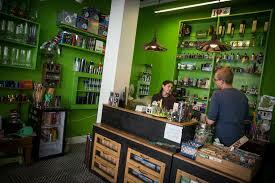 Previous to my Colorado trip, I had spent a considerable amount of time in Michigan dispensaries. I’ve never felt like a criminal in Michigan. In Colorado, just like in both Michigan and Washington, you have to show identification proving you’re of age. Then you can walk into the store and purchase your cannabis. In Michigan, where medical sales are legal, salesperson relationships seem the same as buying clothes or food or anything else. However, I walked away from three of the four Colorado “dispensaries” I visited with an unshakable feeling that I was doing something that was still illegal. It started the moment I walked in the door at one of the dispensaries. Two of the other three were ‘easier’, but they weren’t exactly consumer friendly. Perhaps it’s Colorado’s laws that dictate the method of allowing customers in the door. It’s also the fault of those three unfriendly shops I went into. The fourth was more like Michigan. The first dispensary I walked into was Native Roots in downtown Denver. Before I could even walk into the shop I had to slip my drivers license through a little bank teller window slot. The person in the small booth checked out my license…thoroughly. It felt kind of creepy. There were six of us crowded into a small anteroom. We had to pass this ‘scrutiny’ before we could walk into the shop. After about a minute of checking the computer, then waving a little ultraviolet lamp and doing other sundry things, the ID “checker” allowed me into the showroom. The other 5 people were still behind me. When I got in the store, it was pleasantly nice and well decorated, yet the store gave me a kind of itchy feeling. The salesperson conjured up old images of dealing with a slick, used car salesperson. Not exactly warm and welcoming, and I had a feeling I was being both watched and duped at the same time. It also seemed like the salesperson wanted me to buy something and get out as quickly as they could make me decide. HIs entire body language and verbiage said as much. He just wanted to sell me the product and hustle me out the door. Why? So, the police wouldn’t find out I was in there buying legitimate goods? Did I smell bad? I guess I’ll never know. The combination of the entry and the sales approach would have me never walking into one of their shops again. 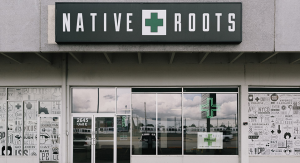 Native Roots has many locations in Colorado. Don’t walk into any of them if you want to feel like a criminal. None the other dispensaries were quite as bad as Native Roots. Native Roots made me feel like a criminal. 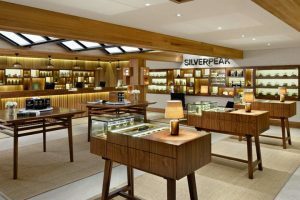 In Aspen, I shopped at a dispensary named Silverpeak Apothecary. Silverpeak is a vertically integrated company, which makes them different from most operations. Seed to weed is what I call it. They were growers and retailers. After the perfunctory checking of the ID, the first person I met was so overbearing with his ‘knowledge’ that I almost walked out. I may have become a little tart toward him, but he did the one thing a salesperson should never do: Tell me what I already know without first ascertaining what I might know. Not fun and not nice. And I know why – he was never trained in sales. The driver’s license approach was much less invasive feeling as our IDs were only checked before we walked in. Other than the overbearing sales pitch, it was a better experience but still one where I felt a bit like I was doing something not quite legal. Silverpeak also wanted me in and out as quickly as they could sell me something. The worst part was the ‘magic’. I placed an order and it came out from the ‘back room’ on a silver tray, where it was put in containers. Mysterious. Was I getting what I ordered? I’ll never know. Telluride was a different scene. More laid back and far more open than Aspen. The first shop I went into was a chain store; Green Dragon. Quite nice to talk to, but the manager had to give the ‘canned’ talk to newbie visitors to the shop. He had to outline about the dangers of marijuana and the legal aspects of having it on their person. It was a draconian speech and one he was required to give in the chain I was in. This made my experience feel quasi-legal. It was tedious to listen to, even if I knew he had to give it. Then there was a little stand-alone shop; The Green Room. Not a chain, not vertically integrated. Just a store and manager that could not have been any nicer. Asked to see my ID and after he saw I was over 21, we had a lovely chat and I wound up buying something from him. Why couldn’t all the Colorado stores be like The Green Room? The Green Room is an independent shop. The manager DOES NOT like the chains. After seeing how the chain’s operate and treat their customers, I can understand why. If the chains continue to treat customers the way I experienced it, the small independent shops don’t have a lot to worry about. Colorado was an interesting, fascinating experience. Personally, I’ll shop with the independent stores, especially if they have relationships with sustainable and reputable growers. It’s fascinating to see how different stores have reacted to legal cannabis and how differently they operate their shops.